Hyderabad: Highlighting once again the poor condition of government hospitals, the main pathway of the Osmania General Hospital was flooded on Wednesday morning, making it difficult to access the hospital and leading to an agitation. It took two hours to clear the water. The drainage system of the hospital is broken at many places and mud and stones accumulate inside, impeding the flow of water and causing the flooding. 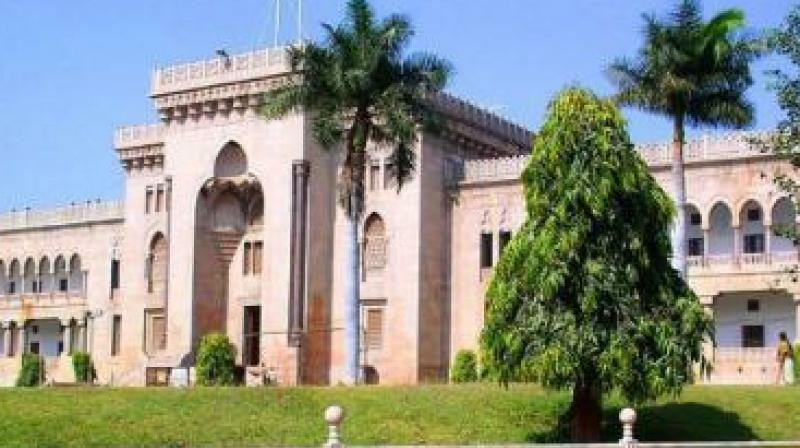 The Osmania Medical College Junior Doctors’ Association protested outside the out-patient department, demanding that conditions in the hospital be improved as it was becoming difficult to work. As if to make up for the poor condition of the hospital, patients who came to the out-patient department were offered juice and flowers by the protesting doctors. Dr Nageshwar Rao of the Junior Doctors’ Association stated that people have no option, so, they still visit the hospital. state of the building, the number of patients continues to be high. Some out-patient cases were sitting out in the compound because the rain had caused leakages in the building. The in-charge director of the hospital, Dr Ramesh Reddy, visited the hospital to take stock of the situation. He inspected the building and discussed with the superintendent and heads of departments the safety and security of patients, doctors and nursing staff. Two floors of this busy government hospital have already been vacated. Senior doctors say an extensive plan has to be worked out as even the new buildings don't have proper drainage.